You may have a clear vision for what or who your book is about — but do you know how to tell your story? One of the first major decisions you’ll face as an author is determining the point of view. Is your story best served by writing in first person, third person, or — if you’re feeling adventurous — the second person? In this post, we’ll be looking at the options available to authors writing in the third person: omniscient and limited. In former, the narrator has a god’s eye view of the story and is privy to all characters’ thoughts, as well as knowledge of the past and future. Then there's the latter, where the narrator’s scope of knowledge is intimately tied to a particular character — very often the protagonist. For those of you who understand images better than words, we have included a fun graphic mystery that illustrates the power of both viewpoints. If you're ready to start, just scroll on down! When should you not use an omniscient narrator? Why choose third person limited over first person? Third person omniscient is probably the oldest narrative form of recorded storytelling. 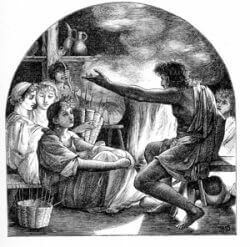 Tales of Odin, Heracles, and Amun-Ra would have been told by bards around the fire, with what we’d consider an omniscient narrator. There are no limits to what the narrator may tell the reader — though, compared to more intimate perspectives, you may need to work harder to ensure that your book remains enjoyable to modern readers. To see 50+ examples of this POV and others, go here. Use of dramatic irony. The writer can exploit the tension that comes when the reader knows something that the character does not. Your narrator can have a distinct voice that isn’t tied to a character in the story. 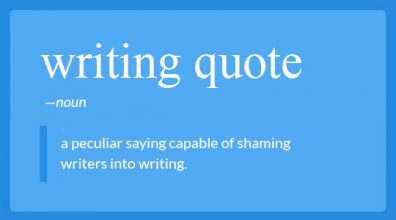 For instance, your narrator might be wry and funny where your characters take themselves too seriously. Relay backstory and history without filtering through a character’s perspective. Quicker transitions in action. If you need your action to move between locations and timeframes, an omniscient narrator may be your easiest option. When is it best to use third person omniscient? In recent decades, third-person omniscient has somewhat gone out of fashion. Readers are looking for more emotional connectivity with the books they read, and the wide scope of omniscient narration isn’t entirely conducive to that. The best example in modern literature is Hilary Mantel’s “Thomas Cromwell” series, including Wolf Hall and Bringing Up the Bodies. It’s worth noting that historical texts — both fiction and nonfiction — seem to benefit most from third person omniscient narration. Sign up for this free 10-part course! Enter your email below and select 'Writing - Understanding Point of View' in the drop-down menu. Writing with an omniscient narrator allows the author to create a persona of sorts, who sits outside the world of the story. These narrators aren’t technically characters, but their narration will be distinctive from the voices of characters inside the story. Terry Pratchett and Douglas Adams both wrote using omniscient narrators. The tone they adopted in the Discworld and Hitchhiker’s Guide novels could be likened to that of a historian, relating details of their worlds using narrative asides. Pratchett’s narrator even uses footnotes like you would see in a non-fiction book, often to sneak in extra jokes. Killing off a wizard of a higher grade was a recognised way of getting advancement in the orders. However, the only person likely to want to kill the Bursar was someone else who derived a quiet pleasure from columns of numbers, all neatly arranged, and people like that don’t often go in for murder*. *At least, until the day they suddenly pick up a paperknife and carve their way out through Cost Accounting and into forensic history. These details are completely incidental, and would almost certainly never make it into the final draft of a book written from limited or first person POVs. Pratchett’s omniscient narrator is not unreliable and can comment heavily on the events and characters of his books. Tongues began to wag in Hobbiton and Bywater; and rumour of the coming event travelled all over the Shire. The history and character of Mr. Bilbo Baggins became once again the chief topic of conversation; and the older folk suddenly found their reminisces in welcome demand. No one had a more attentive audience than old Ham Gamgee, commonly known as the Gaffer. He held forth at The Ivy Bush, a small inn on the Bywater road. Tolkien starts this passage with his ‘wide shot,’ establishing the hubbub rippling through the Shire. He then zooms into a pub, and in particular, to an old Hobbit about to recount his personal tales of Bilbo. This ability to move swiftly between the small and big picture is harder to pull off with a limited POV. It’s also easier to quickly switch between various story strands — bearing in mind that doing this too often will make it harder for readers to latch onto any one of the plots or characters. A lot of new writers are led to believe that third person omniscient is an inherently ‘objective’ point of view. It’s not. The way a narrator frames the story and describes characters and their actions will almost always suggest some form of subjectivity. But that’s not to say that an author can’t use ‘objectivity’ as a device in their writing. The people of the village began to gather in the square, between the post office and the bank, around ten o'clock; in some towns there were so many people that the lottery took two days and had to be started on June 25th. But in this village, where there were only about three hundred people, the whole lottery took less than two hours, so it could begin at ten o'clock in the morning and still be through in time to allow the villagers to get home for noon dinner. There’s a matter-of-fact tone that weaves its way through Jackson’s narration. This section almost entirely focuses on the logistics of running this mysterious lottery — which itself is introduced in an almost incidental way. We have taken the narrator's viewpoint, observing these events from a distance. In the final passages of the story, when we (spoiler alert) discover that the ‘winners’ of these lotteries get stoned to death, the brutality of this ritual is made even more harrowing by the narrator’s emotional detachment. To see how third person omniscient figures in horror novels, check out these best horror novels of 2018 (so far). Don’t go crazy for flashbacks, asides, and lectures. Critics of Tolkien often point to his tendency to break away from the action of his main story to deliver lectures on the history of Middle Earth. Doing this allows him to expand the scope of the world he’s built, but the danger of doing this is that it can break up the momentum of the book, slow down the action, and turn your readers off. Don’t head hop. Within a given scene, avoid filtering the action through more than one character. Readers will find this disorienting, and it signals the sort of narrative laziness which often plagues books with omniscient narrators. Don’t tip your hand too early. Because your narrator knows what’s going to happen, you may feel the need to foreshadow plot twists. Don’t underestimate your readers’ ability to see what will happen next. Need some inspiration? Check out this list of 70+ plot twist ideas. Show, don’t tell. In the wrong hands, an omniscient narration will feature a lot more telling than showing. 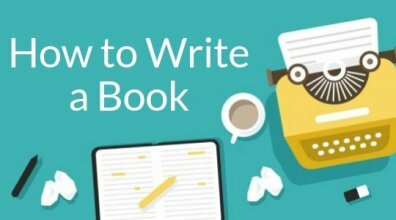 Most publishers and successful indie authors will tell you that you need to write to the market. And currently, the market heavily leans away from third person omniscient. But why? 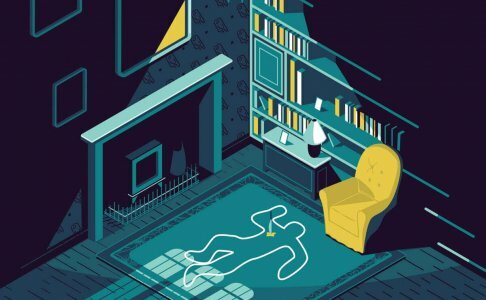 Conventional wisdom suggests that modern readers enjoy connecting with characters, whether they’re heroic, villainous, or something more complex. Omniscience can often get in the way of that connection. Third person limited narratives are, simply put, more effective at creating character-focused stories. Publishers will encourage authors not to use a 'closer' POV, for reasons you will discover in the next section. 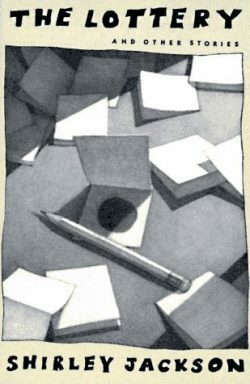 In Third Person Limited, the author narrates the story from the close perspective of one character (at a time) to create the immediacy and intimacy of a first-person narrative, without being "trapped inside" a protagonist's head. In this section, we’ll try and break down what it means to write from a limited perspective and give you a few pointers to get the most out of it. Maintain a level of uncertainty about your secondary characters: their emotions, secrets, and pasts can remain ambiguous. 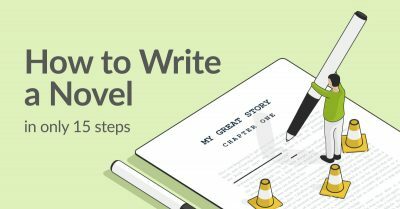 Tell a story in which your reader’s perspective on characters and situations evolves. Third person limited gives your readers access to a character’s inner thoughts and emotions, much the same way that first-person narration does. The difference is that there's a critical sliver of distance between the protagonist and narrator, which will change the way the main character is portrayed. Maybe the protagonist has a nasty habit she wouldn’t readily reveal if the narration were left entirely to her. Maybe the narrator can “see” something happening behind the protagonist’s back that the character himself might miss. 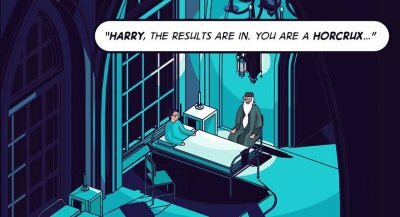 While first-person can bring more emotional immediacy than other narrative modes, it also limits what the reader knows to what the protagonist knows — for better or for worse. 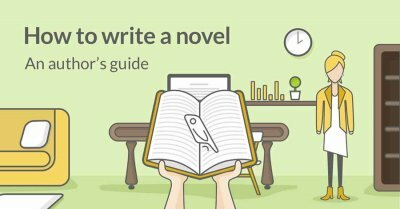 For a deeper look at creating an empathy between readers and your protagonists, check out this guide to writing dynamic characters in fiction. Your narrator is extremely close to your main character (or POV characters plural, since you can use more than one). This means you may find yourself contextualizing all observations and actions through the consciousness of the POV character. In John Gardner’s book The Art of Fiction, he calls this ‘filtering’ — something he strongly recommends writers remove from their prose. The amateur writes: "Turning, she noticed two snakes fighting in among the rocks." Compare: "She turned. In among the rocks, two snakes were fighting ..."
Generally speaking — though no laws are absolute in fiction — vividness urges that almost every occurrence of such phrases as "she noticed" and "she saw" be suppressed in favor of direct presentation. When you limit your narrator’s POV by focusing on a particular character’s thoughts, feelings, and experiences, you might find yourself tempted to reveal another character’s thoughts or feelings. Resist this urge! “Head-hopping” is a big problem in third person narration. If your POV character is speaking to her priest in a scene, you shouldn’t write, “Father Walsh was reluctant to tell her the truth,” because there’s no way for your main character to know that — unless she is a mind reader, in which case, all bets are off. You can demonstrate Father Walsh’s reluctance without hopping into his head. Your main character can observe him avoiding eye contact, stopping and starting sentences, or fidgeting with his cuffs — all evasive gestures that suggest reluctance. Head-hopping is bad when it happens with omniscient narrators — but positively disastrous with a limited POV. While modern editing programs will detect when you're shifting between passive and active tense, they won't be able to warn you when you've accidentally swapped your point of view character! So be on the lookout when you do come to revising your manuscript. “Head-hopping” will always tempt you when #amwriting in 3rd person limited. Resist the urge! Personal memories or historical events that take place in your character’s world can be relevant, and limited narration is a great way to reveal some of that backstory to your readers. But remain conscious that these flashback moments arrest the forward-moving action of the plot, and can sometimes adversely affect the pacing of your book. Sometimes, a few short lines of dialogue is all you need to convey a character’s backstory. Ask yourself whether backstory helps move the present story forward. If it doesn’t, keep the flashback out of your narration. Remember our illustrated example of the omniscient narrator? Let's take another look at that story but from a limited perspective this time. That’s right! You can have more than one POV character. In fact, it’s pretty common. Take the Song of Ice and Fire series (aka 'Game of Thrones') for example, in which each chapter centers on a different character, but those same point-of-view characters take over the narration again and again. This is what's commonly called "third multiple": a point of view in which the narrator sees into the minds of some but not all of the characters. Consider what multiple characters’ perspectives bring to the story: If you’re writing a true-crime-style procedural, you might utilize the POVs of a cop investigating the crime, a victim’s family member, and even the criminal himself. It would be pointless to give the perspectives of three investigating officers since their perspectives will be too similar. Keep in mind that you shouldn’t switch focal characters mid-chapter or mid-scene, since this toes the line of “head hopping” (see tip #2 above). Many thanks to Reedsy editors Kristen Stieffel and Rebecca Heyman for their contributions to this post. Now, we want to hear from you! How do you decide which point of view to use when starting a book? Which one is your favorite? And if you do mainly use an omniscient narrator, we’d love to hear your thoughts on why! The illustrations clarify the ideas as well. Going to share this on social media. I struggled with third person limited when writing my first novel, partly because I'd included way too many POVs. Thanks for a useful summary of the pitfalls, especially the reminder about direct presentation. Definitely - my later drafts cut down the numbers of POV characters drastically. That was a useful lesson to learn and I'll be careful about how many I introduce to my next novel. Glad you enjoyed the graphics! Third Person Limited is highly recommended nowadays, and can be pretty powerful if yielded well as it creates a strong emotional attachment between the characters and the reader. This article is great! I naturally write in TP Omniscient, but have forced myself to move to TP Limited. My first manuscript never left the MC's head though and I don't want to do that again. I like the idea of TP Limited with multiple POVs but I question your statement about switching focal characters mid-chapter or mid-scene. It seems to contradict itself. If I have multiple scenes in a chapter... it is OK to switch POV from scene to scene... right? Only if there is one scene in the chapter should I stay away from switching POV. Also, If it's not OK, then is the proper way to handle it like the way Dan Brown often does? Should I make every scene switch be a new chapter? Switching POV in a scene or a chapter is totally doable and I've seen a number of writers who do this (none spring to mind at the moment though). You've got to first ask yourself whether there's a good reason for switching POV at that point? Is there a secret the character is keeping that would totally change the way the reader views the scene as soon as the POV swap happens? Or is the original POV character about to leave the room, and we want to stay with what is happening there? There's not right answer, but you should have a reason for swapping the POV so abruptly - or else you're just trying to be fancy! Daniel took a deep breath. It wasn't going to be easy breaking up with Martha — a three year relationships inevitably comes with a lot of baggage — yet there was a strange certain look in her eyes: was she already expecting the break-up? Maybe she also wants to call this off? Maybe she'll be totally fine with this? Martha could hardly catch her breath. Could this finally be happening? Was Daniel finally going to propose to her? Not my best writing, but there's a reason for the POV shift here: Daniel's narrative asks a bunch of questions, and by shifting to Martha's POV, we get the answers to them before Daniel does, which adds dramatic irony to the mix. Also, we are likely to be MUCH more sympathetic to Martha when, in a moment, her boyfriend breaks up with her. There are a bunch of actual ways to show the switch in POV. Scene breaks, as I used above (****), are fine, as long as you immediately show the reader that you're still in the same place and time. Starting off with the new POV character's thoughts is another way. As is starting with a strong observation that only the new POV character could make. The point is that, in as effective a way as you can muster, you need to make sure every reader understands that there has been a shift, or you risk confusion. There are several degrees of third person limited which are worth looking into. There are a couple of useful terms to look for regarding the degree of third person limited are "psychic distance" which considers the apparent 'distance' between the character's perceptions, thoughts, etcetera, and the reader. The other is "close third person" which is a halfway stage between normal third person and free indirect speech/discourse, aka "stream of consciousness". Free indirect discourse is a ten on the scale of third person limited. In it there is no narrator and no apparent guidance or censorship by the author. Instead we have the character's perceptions and thoughts unfiltered and complete. It was most famously, and perhaps best, practised by Virginia Woolf in The Waves and James Joyce in the Leopold Bloom and Molly Bloom chapters of Ulysses. Curiously, the intensity of free indirect discourse does not preclude multiple viewpoint. Woolf proved that in a scene in Mrs Dalloway where the viewpoint shifts very rapidly (within a single paragraph!) through a number of people scattered across London without losing any of its intensity. Unfortunately, not everyone can write like Woolf. That said, in free indirect speech the intensity and sheer quantity of the character's perceptions when delivered, apparently, in full on the page will overwhelm an action-based narrative. So if your book is about story and plot then a lower degree of third person is needed. But if your novel is about a character then it is worth investigating. It's important to note that the degree of psychic distance or apparent closeness to the viewpoint character is not fixed. Just because you start at an 'eight' doesn't mean you have to stay at 'eight' throughout. You can manipulate the psychic distance like a zoom lens, taking us closer to a viewpoint character or drawing back from the viewpoint character. A slow zoom in is especially useful for establishing context at the start of a chapter or scene and a zoom out can work well at the conclusion of a scene or chapter. Wow. The multiple points of view will help me a lot! Never knew that was "permitted". What I want to write is maybe not good. I certainly hope I can get by with it, but don't want to break rules I never knew would break the story. I want to tell the MC's story from his point of view when he is in the picture, but from a sort of "fly on the wall" pov when he's not. I do not want to be inside the other characters' heads; I only want to show their thoughts, beliefs, and feelings. I want to be able to write, "MC whistled and loped down the lane, smiling inside about his sister's party and about the sparkling, fragrant morning. He did not see the curtain in the Antag's window move ever-so-slightly once he passed the large bush in the front yard." And this would be the page turning point of the chapter, with the next chapter turning to what is going on inside the house, told from the cinema pov, not inside their heads...only observing their speech, faces, and actions. Absolutely, there's nothing stopping an omniscient narrator from taking a single character's close POV. They have absolute knowledge of everything that happens and can simple choose what information they relate to the reader. One word of warning is that by describing your MC's thoughts from the perspective of an outside observer, you might create a distancing effect: like a god watching one of its creations — the reader will see that your MC has emotions, yet they will find it harder to empathise with them. I see this article was published about a year ago, still I hope that my query will be answered. While this article helped me in finding out the difference between "third person omniscient" and "third person limited", I got little confused about one thing. I just finished the chapter, Interest and Truth of The Art of Fiction by John Gardner, where he has just introduced the point of view. In the meantime, when I did not have access to the book, I started browsing to go into the detail and the most confusing part for me was between these two. But before this article, I encountered following example at some place else. drink of orange juice. It was nice. A spider crawled up his back. Good Example: Bob entered the room. He heard the floorboards creak under his feet. He could smell pizza and noticed the empty box on the table. He sat down and tasted the orange juice. Nice, he thought. Then he felt something crawling up his back. This isn't a great sentence, but you get the idea. Note: the character can't see the spider. I believe it slightly differs from what John Gardner says (yet to read the chapter which mentions, as in your example) about direct presentation. This clip (from another article) is also about "third person limited". Some great observations there — the idea about direct presentation is to avoid filtering *absolutely everything* through the point-of-view characters eyes. I think it is important, especially when we want to build up an intimacy with the character, not to reveal information unknown to him. We also want the reader to share his perspective, but in order to do that, we don't need to constant remind the reader of the things he sees and hears. Readers want to empathise with the POV characters. 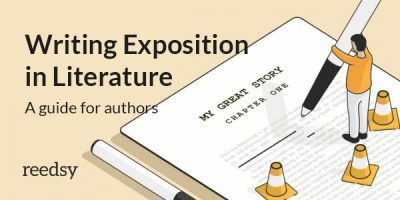 When you're using third person limited, you don't need a lot to let your reader know that your narration relates to the protagonist's experience. box sat on the table and its smell filled the room. He took a sip of orange juice, and as the taste of warm citrus finally faded, something began to crawl up his back. When we say the floorboards creaked and the room smelled of pizza - the reader will automatically assume this is the experience of the POV character without us having to tell them this directly. And in order to bring us closer to the experience of that character drinking the juice, I think it's better to describe the sensation, rather than verbalize his thoughts ("this juice is nice," he thought is not as effective as describing a sensation that would imply that he enjoyed it). Since third person limited is not something which is restricted to the character's head, is it OK for describe things about them which they cannot necessarily 'see' themselves? For example, "the breeze blew her dark hair intro her pale face", "there was a glint in his eye as he said", "after she cambered through the bush, her hair was wild". In each case, he/she is the POV character. Are these POV violations or not? I do understand that things the POV character is unaware of cannot be revealed, like a smudge of ketchup on their chin during an interview, or someone secretly looking over their shoulder. "She felt her face grow cold, as her hair caught the breeze." "He could bare contain the glint in his eye as he said..."
"Emerging from the bush, she was conscious of how wild her hair had become"
The beauty of "3PL" is that the reader still gets to experience the story through the character — so, while you can tell the reader that her hair was wild from walking through the bramble, why stop there? Take the opportunity to show us how she'd react to this — perhaps in just a few words. Is she self-conscious? Is she comfortable with her look? Oblivious? Putting on a front? So, to me, it doesn't matter if you are breaking the rules; it's much more important that you're not making the most of your narration. Sometimes, I like to think of third person limited as if the narrator were just standing behind the POV character's shoulder: seeing what they see, and taking a guess at what they're thinking from their facial tics. Hello, your article was beneficial in explaining the different types of point of view with their pros and cons. However, I read an article about third person limited omniscient, and I was interested and writing from that pov, but I am a bit skeptical about using this pov as opposed to using third person limited to connect with my readers better. So, my question is; do you think that third person limited omniscient will not convey the same connection as would Third person limited? Also, do you believe third person limited is a better pov than the first person for the modern day reader?